How to become a labor and delivery nurse. Many parents dream of the day that their children are born. The idea of giving birth may be less stressful with experienced nursing personnel to assist with the process. Labor and delivery nurses make the process of childbirth as smooth and stress free as possible for the patient, family, and the new arrival. A labor and delivery nurse not only assists an expectant mother but a mother in labor as well. Becoming a labor and delivery nurse can be an easy process by following a few easy steps. A labor and delivery nurse provides care for mothers who are in labor and who are close to giving birth. He or she monitors the mother in order to identify any signs of complications. A labor and delivery nurse monitors the blood pressure of the expectant mother and time contractions to determine how close the mother is to delivering her baby. It is also the responsibility of the nurse to monitor the fetus’ heartbeat to make sure that the baby is healthy. Labor and delivery nurses also educate the mother and her family prior to childbirth. They provide these individuals with information about what they should expect during the childbirth process. They also provide detailed information regarding the stages of childbirth. The nurses also provide care for the new mother after her baby arrives, and educate the mother in the areas of personal care after childbirth and breastfeeding. They also educate mothers on when to push during delivery, and they provide breathing exercises that they can use during childbirth. Labor and delivery nurses also assist physicians and other nurses during C-sections, and they administer medications such as epidurals. Additionally, they began IVs that administer medication to stimulate contractions to assist women with going into labor quickly. A labor and delivery nurse can assume many roles in his or her position, including nursery nurse, postpartum nurse, scrub nurse, antepartum nurse, and circulating nurse. It is necessary to first complete an accredited nursing program before becoming a labor and delivery nurse. Completing an associate’s degree in nursing or a bachelor’s degree is the most common way to become a labor and delivery nurse. Some may even complete a diploma program offered by a qualifying hospital. Most hospitals require an educational level of a bachelor’s or higher for positions as labor and delivery nurses. There are a few ways to earn an education as a labor and delivery nurse. Many people elect to earn a nursing degree and specialize in labor and delivery, and others choose to take course in labor and delivery as electives while earning their nursing degree. As long as the college or university is accredited, it really does not matter which school they attend. 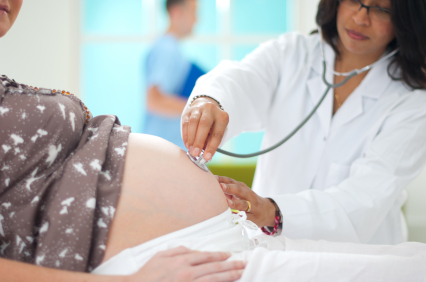 Certification and licensing are important to becoming a labor and delivery nurse. Future nurses must take a nursing exam called the National Council Licensure Examination (NCLEX) in order to receive a license to practice in their state. It is necessary to gain two years of experience in nursing and complete clinical experience in labor and delivery before qualifying to become a board certified labor and delivery nurse in a specialized area. It is also necessary to take continuing education courses in nursing to stay abreast of the latest developments in nursing. As with all nursing positions, labor and delivery nurses make a substantial salary to perform their tasks and responsibilities. The median annual nursing salary for a labor and delivery nurse is $69,790, which is the average for all Registered Nurses within the U.S. This number can vary depending on experience and education. Certified labor and delivery nurses can earn higher salaries than uncertified nurses do. Working in a supervisory position can increase the annual wages even more. The location in which a labor and delivery nurse works can also affect the salary. An advanced practice nurse can also gain a salary higher than the average of other labor and delivery nurses. The field of nursing is filled with opportunities for labor and delivery nurses. The employment opportunities for labor and delivery nurse jobs are expected to increase by 22% by 2018. Specialized nurses are highly sought after in the nursing profession. The turnover rate for labor and delivery nurses tends to be extremely low so opportunities for extremely qualified and educated nurses increase greatly with these qualifications. Labor and delivery nurses have the privilege of experiencing the wonders of childbirth at every level. They are the wonderful individuals who make the process of childbirth a memorable experience for the mothers and their caring families. A career as a labor and delivery nurse can be extremely rewarding and exciting.